Steam engine is much developed and driving various machines day in day out. The town is covered with white steam and full of pipes and gears---. I am thrilled just by imagining how the world of steam punk in another universe is like! 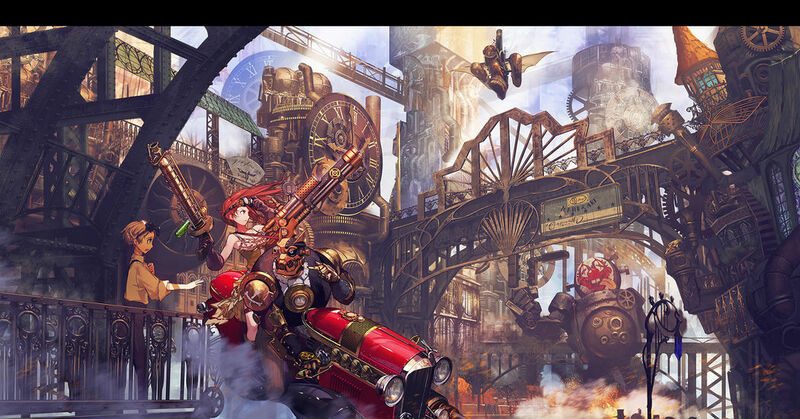 Today's Spotlight is about the illustrations of "Steam Punk Town" where the steam is the power source for various things.